Getaway to the scenic Majestic Oaks Golf Course at Lake Lawn Resort. Experience this historic course that is set amid 250 lush, tree-lined acres, and two miles of shoreline. The Majestic Oaks Experience Package is a two-night package that will provide the ultimate golfing experience including three rounds of golf per adult, a $50 Resort Credit per adult, and 10% discount on services at our Calladora Spa. We've thought of everything for a great golf getaway! 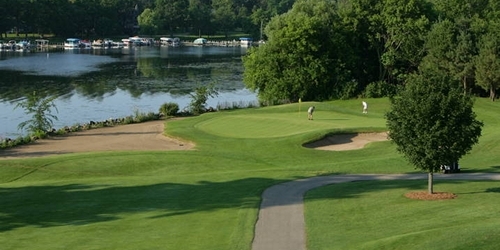 When calling 262-728-7950, please mention you saw this golf package on GolfWisconsin.com. Majestic Oaks Golf Course at Lake Lawn Resort reserves the right to change price and offer at anytime. Prices and offer are subject to change without notice. GolfWisconsin.com is not responsible for errors posted in this golf package.